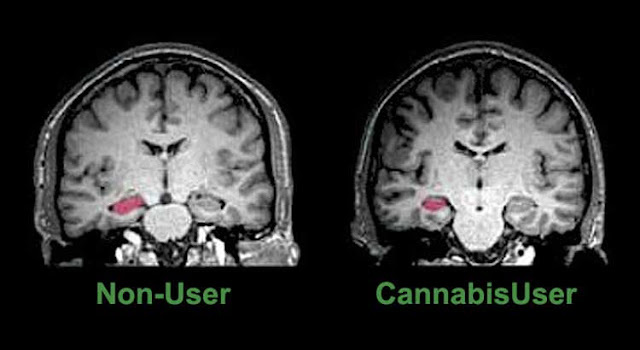 Home » News » Marijuana’s Long Term Effects On The Brain Finally Revealed! Up until now, the long term effects of marijuana were largely a matter of opinion. Now, looking at the science can finally provide some real answers. One of the biggest question surrounding marijuana use, particularly by those who try to justify it being labeled a very dangerous and harmful drug, is the potential negative effects of long term use on the brain. Before tackling this question though, it should be pointed out the alcohol remains legal despite a long list of evidence validating that is is clearly dangerous relative to brain wellbeing. Marijuana, on the other hand, has proven once again to be superior to alcohol, which researchers from the University of Texas demonstrated through research they published in the Proceedings of the National Academy of Sciences (PNAS) regarding the long term effects of marijuana on the brain. Not only did the researchers debunk the myth that marijuana lowers IQ, and also presented evidence demonstrating that it can effectively fight Alzheimer’s, but they also reveal that regular marijuana use actually leads to greater connectivity in the brain! Although these study results, which were convened on will have to be corroborated in larger studies, 100 participants, the preliminary results are definitely positive and encouraging. They also demonstrated another phenomenal finding that it helped reduce gray matter in the orbitofrontal cortex, or OFC, which is the brain region associated with addiction. Another remarkable result! Although, again, this will have to be demostrated in bigger studies the results are obviously promising. Likewise, cannabinoids were also recently shown to promote brain cell growth (neurogensis) rather than destroy it. In short, weed makes your brain stronger! This post was republished from anonews.co. You can find the original post here.